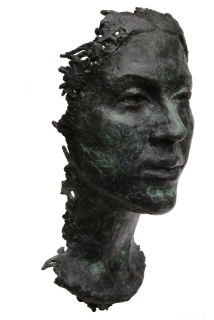 I enjoy portrait sculpture, figurative work and the creative collaboration of working to commission. Teaching. See: Yardley arts and fermynwoods contemporary art. After sculpting alongside family life and part-time teaching for a number of years, as a mature student I returned to college to study Fine Art at the University of Northampton, graduating with BA First Class Hons and my MA the following year. In November 2016 I exhibited new work with Charlotte Abbatt and Edwin Alvis. See work from this exhibition here. 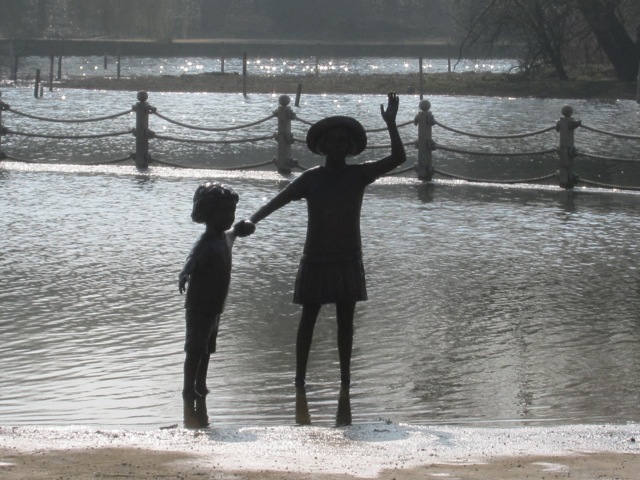 I was commissioned by Wicksteed Park, Kettering to create two bronze sculptures of children, which were installed in the paddling lake in March 2015. I curated and made new work for 'Step into my Shoes - Significant Journeys on Foot' at Northampton Museum and Art Gallery (click the link to view photos and a short video). My Portrait of Ellie, left, lifesize bronze, was shown in the exhibition Bust at Northampton Museum and Art Gallery Feb - March 2013.
at St John's Waterloo London SE1.